Savvy Spending: Bagger Dave's: B1G1 Free Burger offer, valid Sunday 3/12 only! Bagger Dave's: B1G1 Free Burger offer, valid Sunday 3/12 only! 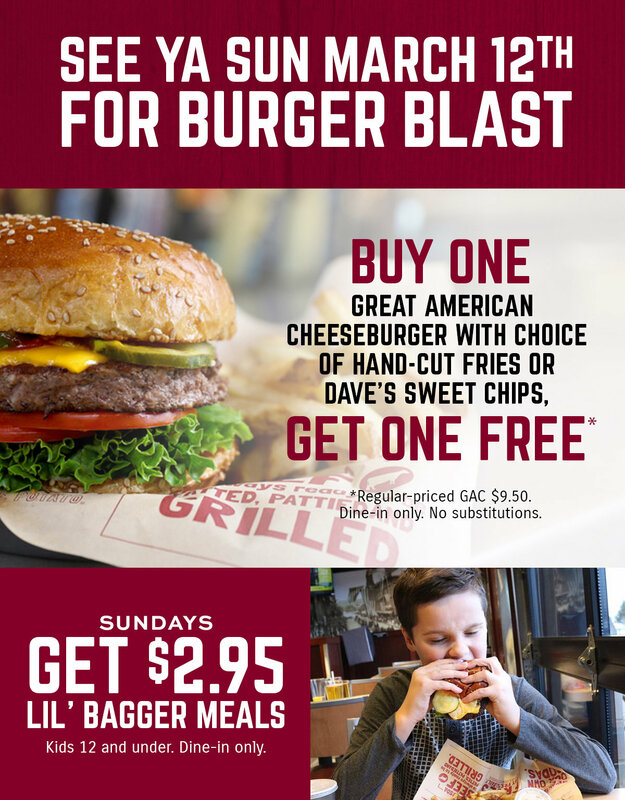 Bagger Dave's is also offering a Buy One, Get One Free Cheeseburger Offer! Valid for dine in only on 3/12. It doesn't appear you need to print a coupon or anything.